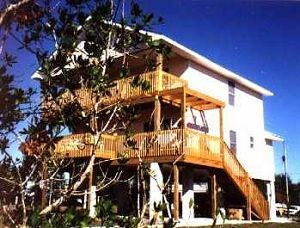 Tropical Waterfront Island Setting, Birding and Manatee watching from your Deck, near Sanibel /JN Ding Darling Preserve, Use of Canoe with ALL Suites, to fish , meander the Mangroves or sit with the Manatee and Dolphins. See our Website, attached, for area / local To Do's and descriptions of Suites.Vist The Thomas Edison-Henry Ford Winter Estates and Museums, Catch The Ferry Xpress To Key West Daily, Catch The Ferry To Cayo Costa Island State Park, Great shelling and Gorgeous Gulf Beaches.or drive to nearby Ft Myers and Sanibel Beaches. This and other Florida Bed and Breakfast Inns can be found here online in The Register.